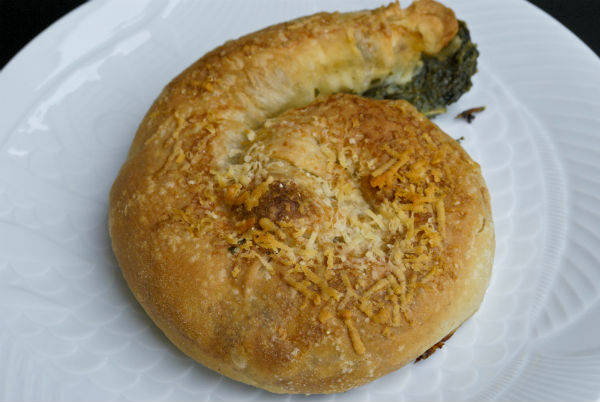 Boyus or Boyuz or Boyikus are spinach and cheese filled Sephardic pastry. 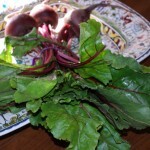 I have tried many recipes and I think at least three are archived on this blog in the recipe index. Last week when I was researching and making strudel I had a thought. Strudel dough is essentially like philo dough. 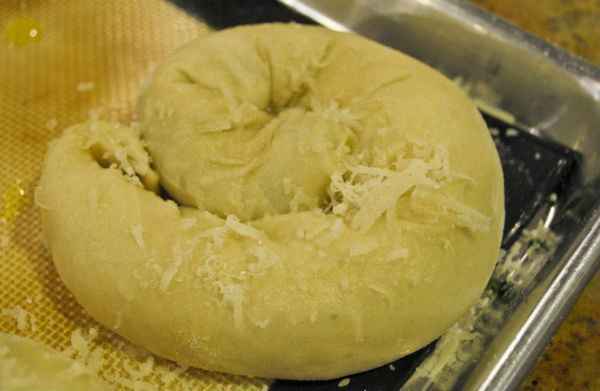 Nona says that her mother made her own philo dough for the boyus. You see where I am going with this. I made two batches of strudel dough and instead of butter for brushing the dough; I used olive oil for one trial and sunflower oil for the second trial. I am happy to report that both versions were a stunning success. 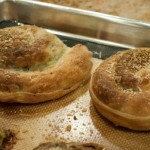 The boyus were flaky, crispy, light as a feather, and brimming with that good spinach, feta, parmesan, salty taste. My son was keeping me company at 1:00 AM when they came out of the oven. 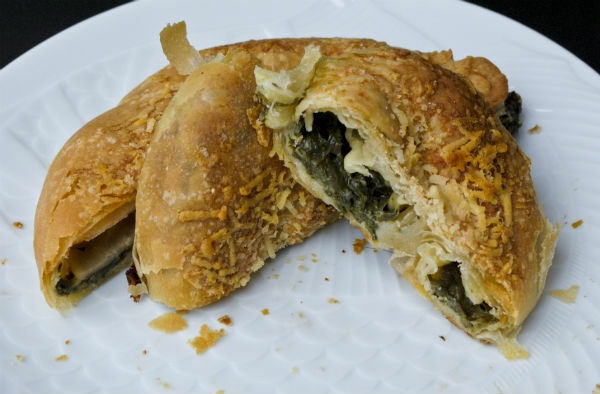 As soon as they were cool enough to not burn our mouths, we bit in, and the flaky crunch with cheesy spinach was the best. Jacob had seconds. 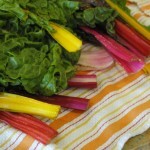 To make filling, use a sharp knife to slice spinach into thin ribbons and then, chop spinach into small pieces. 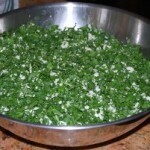 Place spinach in a large bowl. 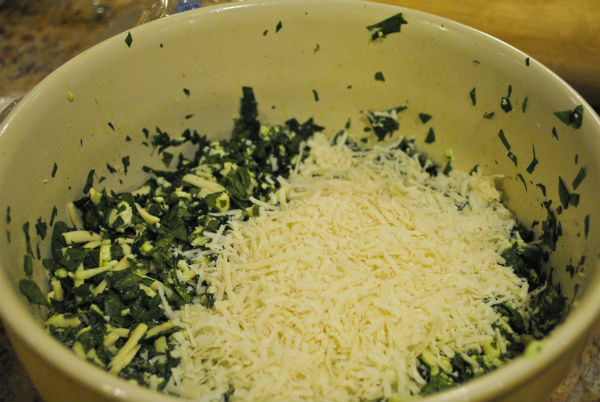 Add grated and crumbled cheese, toss to mix. Set aside or refrigerate while you make the dough. Place flour and salt in the mixing bowl of a stand mixer. Add warm water with oil, and vinegar to flour. Beat until a ball of dough forms, about one minute. Let the dough rest for 10 minutes. Touch the dough to determine how sticky it is. Add remaining ¼ cup of flour and beat dough until soft, smooth, shiny, and easily removable from the mixer paddle. Place the smooth ball of dough in an oiled bowl and cover with a tea towel to rest for about one hour. This dough does not rise. During the resting time, prepare the stretching table. For the stretching, I recommend a kitchen table covered with a clean white bed sheet dusted in flour. I know the sheet is red in the picture, but it made it easier to shoot the picture. Pre heat oven to 375° F. Remove dough from the bowl where it has been resting. 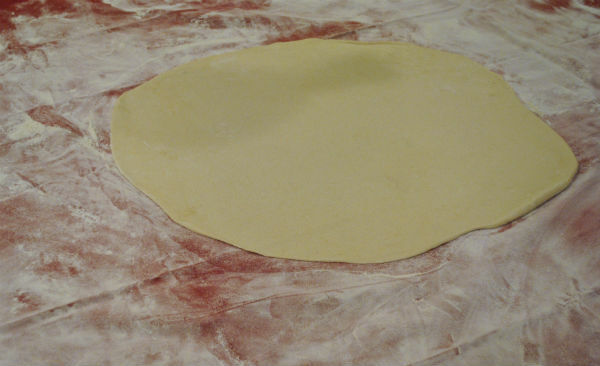 Place it in the center of the floured sheet on the table. 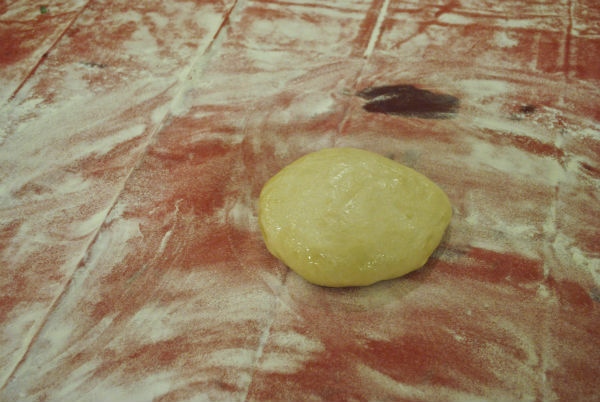 Give the dough a couple of passes with a wood rolling pin to make a rectangle, and then start to stretch by hand. Before stretching, remove all jewelry. Next, close your hands into a fist, and with the knuckle side up, slide your hands under the dough. 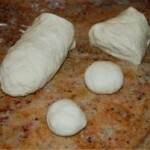 Use the tops of your hands and move them methodically around the perimeter to expand the dough. The dough will stretch easily. Carefully work your way around forming a rectangle. Then go deeper toward the center, ever expanding. Work slowly and methodically, don’t rush dough. 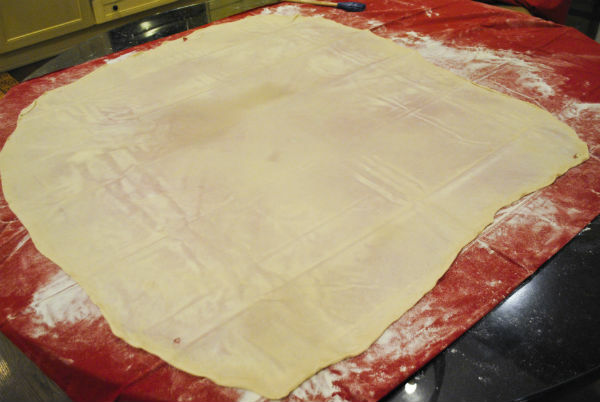 Continue stretching until dough is about a 32 inch by 40 inch rectangle. Use a scissor to trim the thick edge that is left on the perimeter. 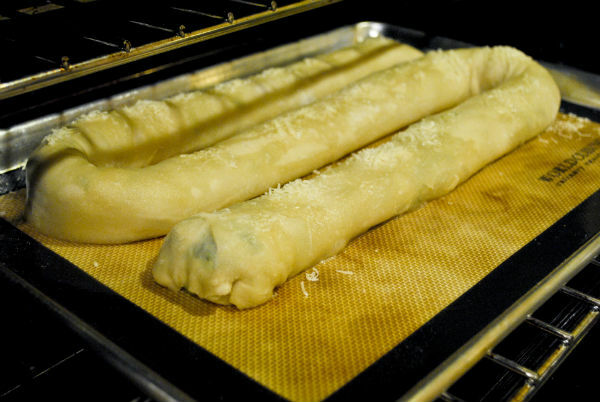 Brush the dough lightly with olive oil using a pastry brush. I recommend a silicone brush to prevent any tearing. Place filling down the long side of one edge, about 3 inches in from the edge, in a narrow mounded up column. Grab the edge of the sheet with your hands, and start to roll up the cylinder. 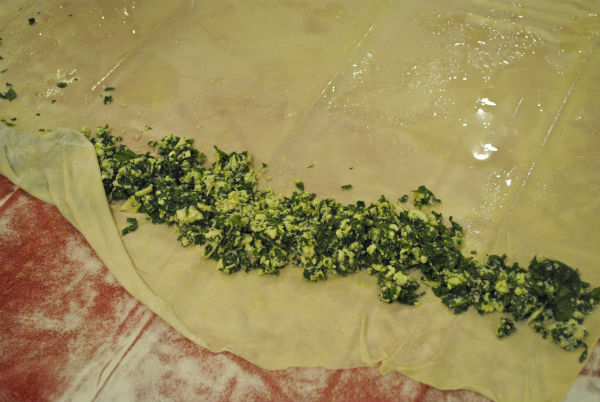 Brush the cylinder with more oil if needed while you roll, brushing any excess loose flour away at the same time. When you are finished rolling the Boyu, seal the two ends. Carefully lift one end of the Boyu onto a prepared baking sheet lined with a silpat or parchment paper and make an S shape on the pan with the rest. Brush top with oil, sprinkle on remaining Parmesan, and place the pan in the oven to bake. Bake until golden brown and cooked through about 30 minutes. Cut in slices and serve hot and crisp. This should make about 8-12 servings. You may reheat Boyus the next day in a 350° F oven for 10 minutes. You will notice, in some pictures I made coils instead of a long single Boyu to serve in slices. To make coils, after I stretched out the dough, I divided it with a sharp knife into 8 rectangles. I filled and rolled the rectangles individually and coiled them after I sealed the edges. Sra.Linda,Ud. siempre deleitando nuestros paladares………se ve estupenda,para el fin de semana. Wonderful! Wonderful! Wonderful! Thank you so much for this, Linda. Of all my nuna’s many amazing dishes and desserts, this was my absolute favourite (followed closely by koulourakia/koulouria – even though she pronounced them as ‘kloothya’). She sometimes made her boyikus with the pastry rolled up like you’ve done it, but most of the time, it was more in the boreka style (which she pronounced as bor-ek-ya – must be a regional thing on the spelling/pronunciation), like a turnover pastry. No matter – either way they’re made, pastry-wise, they taste amazing and always bring back the most wonderful and endearing memories of my childhood and weekends spent with my nuna who cooked and baked with such skill, such ease, and most of all, such love. Thanks again for this, Linda. If my nuna were still here (well, she is in my heart), she’d thank you, too. Just wonderful. These look just delicious!!!! You have really mastered the art of strudel dough making. Thank you for sharing this new recipe with us. Of the three recipes for bulemas or boyos that are in your blog, do you have a favorite? I just wanted to share my success with you. I made this recipe today with my daughter. We loved it —the spinach cheese filling was just great. Most of all we couldn’t believe how easy it was to prepare. We had so much fun together in the kitchen. This strudel dough is something I never would have dreamed of making if not for your step by step guidance. Now I am looking forward to trying apple strudel. 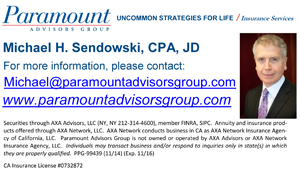 Thanks again for your blog. It is wonderful and every recipe I have tried has been super!!!! Fantastic, I am so glad to hear of your success. 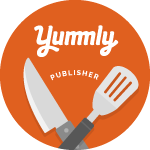 That is one of my goals I want to achieve with this blog endeavor, recreate the old recipes, make them delicious and fun and for everyone to try them not just reminisce. Yes, I agree with you Linda (and Norma, too), that your recipes and updated variations on them are excellent and always well worth trying them in our own kitchens. I’ve done that many times with so many of your recipes and have been very happy with the results. But don’t you also believe that food is so strongly connected with reminiscing about one’s family and our family’s cultural heritage and legacy, and that it evokes and stirs very powerful memories in the heart? That’s what I wanted to convey and express in my comment about these (and other) recipes you’ve shared with us on your blog. I guess, going by your reply above, that I didn’t express myself as well as I’d have liked to, and tried to. Yes, I do and have and will continually try them in my own kitchen, and yes, for the most part, they have all turned out just as wonderfully and deliciously as you have written and shown us in each blog entry. But equally, for me anyway, there are some recipes that evoke strong, heart-felt family memories – I believe food has that unique and special power and gift. It connects us both to our past…to our childhoods and to our beloved relatives who are either still alive, or to those loved ones who are no longer here, but their memories live on, through our connections to the foods they made) and to the present, and also, if we have children of our own, it’s there for the future, as well. I plan to start baking for the Holidays and planning this year’s Rosh Hashanah dishes. I hope to post some new recipes and will for sure bake and prepare a lot of old favorites. Hello! 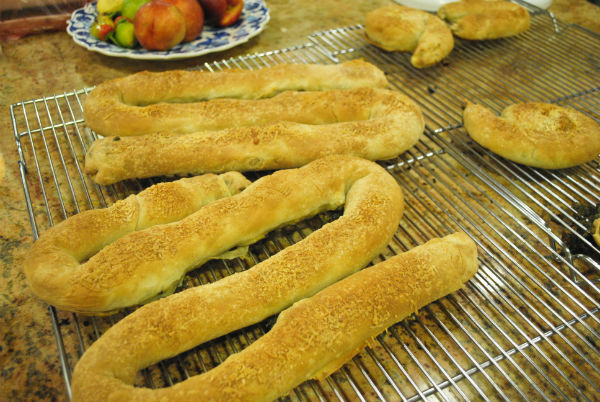 I want to make this for a Hanukkah party I’m having – would they work as well shaped in a traditional boreka style (like these http://www.theglobaljewishkitchen.com/2011/05/23/borekas-de-handrajo/)? Look like the real thing…just found your site, I’m allways looking for authentic sepharadic recipes, and it looks like I found a very good source. I usually buy the spinach straight from the grower, can you please give the amount in grams/kg, because here in Israel we use the metric system, and probably have different size of packages. I just made this – delicious and great fun to make!